Don’t miss this exceptional opportunity to quickly learn competitive strategies for business operations. Some companies are being asked to showcase their business operations and work in this area. If you are interested in participating, make sure to review the program outline and contact Kenneth Goodwin. Ken has been a frequent guest speaker at my NYIT ExMBA classes and is a compelling and highly regarded expert in this subject. This is a “not to be missed” program. Is your organization struggling to manage a high performance bully? Someone who brings in the customers or the financial returns but does so by bullying employees and customers? If so, here is one way you might manage this person. For more information see our 1 minute global video on LinkedIn or email information@birchtreeglobal.com for the complete paper. Birchtree Global and Dezan Shira invite you to Market Entry in India: What’s Different in 2019. 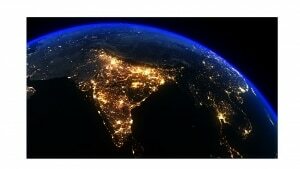 The World Bank ranks India as the number 1 location in Asia for ease of doing business and in the top 25 in the world on getting credit and protecting minority investors. With a growing population of 1.37 Billion and a government actively working to attract inbound foreign direct investment, India is a top destination for health care, pharma, technology, and services. We are pleased to invite interested executives to join Dr. Janet L. Walsh, CEO and President of Birchtree Global, and Rohit Kapur, CA, and Managing Director India for Dezan Shira& Associates for a short presentation on current FDI opportunities in India and specific advice on how to best enter the Indian marketplace. Following the presentation there will be a Q/A discussion on doing business in India. Both Dr. Walsh and Rohit Kapur have extensive experience building businesses in in changing and evolving economic and market conditions and can address your most challenging issues. This event is free of charge, but with limited seating. To register email information@birchtreeglobal.com. Dezan Shira & Associates is a pan-Asia, multi-disciplinary professional services firm, providing legal, tax and operational advisory to international corporate investors. Birchtree Global is a global services firm providing market entry, human resources, and research services for globalizing businesses. My IERG colleague, John Lowe, CEO of Hilltop Partners forwarded to me the following interview with Jake Vander Zanden, Principle Consultant at McDermott & Bull Executive Search. The summary below is interesting as it shows how companies are tailoring hiring packages and how executives are negotiating their compensation and benefits packages. It also gives a window on the technology and life sciences industries. 2018 was a big year for McDermott & Bull Executive Search. The Technology & Life Sciences practice experienced a tripling of search activity versus 2017. They had significant growth across all verticals as well with more than doubling the amount of search assignments completed both in the US and international locations. Jake Vander Zanden, Principal Consultant at McDermott & Bull Executive Search, talked to interviewer, Theresa Matson of TLM Consulting about the trends he’s seeing in executive talent recruiting. TLM: First I would like to congratulate you and the entire McDermott & Bull team for a very successful 2018. Jake Vander Zanden: Thank you, Theresa. With record low unemployment and creation of additional jobs in almost every sector, it’s clearly a hot talent market. More clients asked for our help last year because the competition for the best talent is tighter than ever. Potential candidates are seeing more opportunity than they’ve had in years, and companies desiring their talent have needed to make adjustments to attract the best and brightest candidates. TLM: Jake, during these competitive times we know that diverse compensation packages are important to candidates, what do you see being offered to executive talent? Jake Vander Zanden: While one expects higher pay in competitive times, many companies have chosen additional options to augment the straight outlay of cash or equity. For example, we saw the inclusion of executive-level car allowances, annual physicals and additional concierge-style health care benefits, club memberships, and additional personal leave days. This practice of adding non-cash perks can also be a benefit to other employees when offered more widely to existing executive teams as a retention benefit. TLM: And what about sign on bonuses? Jake Vander Zanden: A cash sign-on bonus to offset stock option losses or providing some relief against the loss of bonus dollars has been used more frequently, and the amounts have been higher this past year than in the recent past. Getting a passive candidate to look at a new opportunity takes a bit of convincing, especially at the senior level when transitions affect companies so much. Quite often, once an executive is willing to look at an outside opportunity, there is an additional challenge presented by other competing opportunities that the candidate may also consider. TLM: What happens once you identify the ideal candidate for a position? Jake Vander Zanden: This year we had many instances when our ideal candidate came to the table with several legitimate opportunities in consideration. In a hot talent market, driven by competing offers, candidates make decisions fast because they don’t like the “limbo” of keeping their activities a secret from current teams/employers. It is imperative for hiring managers to ensure a streamlined decision process that allows true evaluation and buy-in, but at the same time is as expedient as possible. 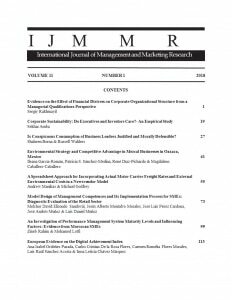 TLM: What do you provide to ensure the fastest placement of executive talent? Jake Vander Zanden: We have worked with our clients to help them streamline their decision-making processes to prevent losing the best talent to other offers. We’ve also spent countless hours counseling and coaching candidates on what each opportunity means for their long-term career. TLM: We talked about the importance of a faster interview process and faster hiring decisions. Are executives transitioning quickly as well? Jake Vander Zanden: Obviously at the executive level there’s rarely such a thing as a two-week notice, however this year we have seen an extension of the transition times, and perhaps more importantly a greater willingness to allow top candidates longer transition times with greater flexibility. As an example, one biotech was willing to allow our candidate close to two months to wind up his previous role prior to joining the new company so he could complete a critical project. Another allowed our candidate to start immediately for two days a week at the new company so she could be part of critical start-up decision making that was occurring. In exchange, her former employer was happy to have access to her talent for a one day a week for several months following her exit, to assist them in transitioning her duties to the executive that replaced her. TLM: Let’s talk about the willingness for your clients to look outside their traditional industry. Is this something that is important to the process of filling top positions with the most talented individuals? Jake Vander Zanden: Yes, it is important. Some might call it an easing of the key requirements – but that’s not what we’re talking about. In fact, it’s allowing us as a partner to discover hidden talent that might normally be overlooked due to too narrow a focus. We convinced several of our top clients to look outside their traditional field to consider talent from other industries in 2018. This year we placed a top entertainment company executive at a manufacturing company as the top revenue officer, and a biotechnology leader at an environmental services company. The result has been excellent, yielding senior leaders in roles where our client company is gaining tremendous insight from getting an “outsider’s” view, and a fresh look at their biggest growth challenges. Jake Vander Zanden is a Principal Consultant and leader of McDermott & Bull’s Technology & Life Sciences Practice. His practice expertise includes, Biotechnology, Pharmaceuticals, Medical Devices and Consumer Healthcare. Jake spent over 25 years as a turnaround and growth leader completing business transformations for companies on a global level. He has deep roots in Opthalmology and Neurology as a senior leader with Allergan, Medtronic, Lumenis, Hoya, and Presbia. He has lived and worked throughout Asia, Africa and Europe, and managed businesses in all the major regions of the world. He earned his BA in Marketing and Management at St. Thomas University. Comments Off on Executive Summary: “Aftershock: The pervasive effects of tariff hikes”. 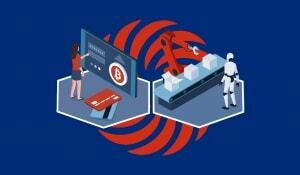 How will they affect your business operations? January 29, Recruitment Experts Share Top Insights! Do you want your business to grow? You’ve got one more day to join Anita Campbell from Small Business Trends and Alice Bredin from Bredin, Inc. for a discussion on how small business attract and hire top talent. You’ll discover how to make quick, meaningful changes to the way you recruit candidates and plan for long-term success. In this webinar, you’ll learn: -How the fastest-growing small businesses expand their talent pools and hire efficiently -Tips for avoiding common recruiting time wasters -Strategies for winning over candidates against larger, name-brand companies -Characteristics of great hiring managers – how much they spend on hiring and where they find candidates. If you are not an expert, then upgrade your recruitment skills. Earn recertification credits by attending this webinar, which has been approved for 1 HRCI credit and 1 SHRM CP credit. Can’t make the webinar? RSVP anyway. We’re sending all registrants a copy of the recording and slide deck. This is a terrific webinar for businesses who need to find great employees quickly! Comments Off on January 29, Recruitment Experts Share Top Insights! Birchtree Global wins Global Leadership Award at the 2019 International Conference on Business and Finance! 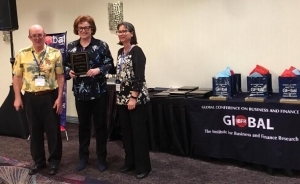 I’m pleased to announce Birchtree Global won the Global Leadership Award at the International Conference on Business and Finance in Las Vegas last week for leadership in research-based business studies. We are all thrilled! We believe what sets us apart from our business services colleagues is our focus on research-based solutions to client problems. We focus on analyzing our client’s strategic objectives and crafting customized solutions that maximize their objectives, rather than recommending one-size-fits-all solutions. We research and present at conferences continuously and are so pleased to have our contributions acknowledged by the IBFR. Comments Off on Birchtree Global wins Global Leadership Award at the 2019 International Conference on Business and Finance! Birchtree Global was born here 20 years ago! 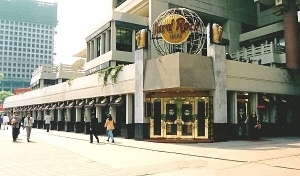 I was on a State Visit to China for women executives and at the end of the trip, we stopped at the Hard Rock Café in Shanghai. My colleagues and I were commiserating over the lack of “agnostic” consulting advice. That is, consulting advice based on furthering the client’s business strategy, rather than being sold a “vendor one-size fits all” solution. Having established businesses in more than 40 countries at this point, I knew most vendors offered their products as the ultimate solution for any staffing, payroll, tax, legal, or financial issue. No one was offering or suggested a competitor’s product, even though those products would have been a better solution. On January 1, 2019 Birchtree Global turned 20 years old. According to JP Morgan Chase, only 7% of businesses reach this milestone. I think one reason we’ve done so well has been our focus on enabling our client’s strategy, using fact-based documentation, by being adaptable, thinking outside the box, and hiring the best people. All made possible by some of the best customers on the planet. Being successful has meant we’ve been able to give back to the community and our causes. In 2018 I’m pleased to say contributions have been made to the Colorado Book Trust, The SPCA, Solace for Stephanie, the Explorers Club, the World Trade Center, Rotary Means Business, The Bedford-Armonk Rotary Club, and the American Museum of Natural History, among others. We look forward to the next 20 years! Comments Off on Birchtree Global was born here 20 years ago! For 20 years we have been globalizing strategy, companies, and people. Enrich your understanding of global business by watching the following webinars presented by corporate experts. HRCI and SHRM Certified! Understanding Global Financial and Capital Markets with Patrick Reilly. Patrick Reilly, noted business analyst at Pepsi, reviews and discusses how global financial and capital markets work sharing his insights and thoughts on global business. Risk Management: Medical Issues in Business Travel and Expatriate Management presented by Dr. David Clyde. Dr. David Clyde President and CEO of Spinnaker Medical Consultants International, LLC, and consultant to Exxon, discusses the employee medical considerations for global business. Dr. Janet L. Walsh, President and CEO of Birchtree Global will present a summary of the critical issues in Global HR Management from the 2018 Madrid IHRM Conference. Participants will learn the critical issues that challenge global HR managers and the solutions they have created to positively resolve them. Information from this webinar will provide global HR leaders with up-to-date financial and operational challenges and solutions. There is much to consider when globalizing a business in 2018. Join Dr. Janet L. Walsh as she highlights the specifics involved in establishing business operations outside of your home country. We’ll discuss the infrastructure involved in growing a business globally. Based on our experience as corporate executives responsible for managing global business operations, we’ll show you 20 critical issues you will face. We’ll take an in-depth look of the 5 most critical that are likely to reduce your operational and financial performance in a global environment. Dr. Janet L. Walsh presents her cutting-edge research on Cuba market entry. In this webinar you’ll learn why market entry skills required for successful market entry in Cuba are not the same skills as successful market entry into other countries. We will use the travel industry as an example and highlight how this industry has done very well in bringing tourists into Cuba.